Digital Product Strategy. UX. Design. Engineering. Did you know that more people watch gaming video content than HBO, Netflix, ESPN and Hulu combined? Yes, esports is big! Estarz, Inc. (now Framerate) approached us to help them out on a journey to become the leading esports coaching platform. Estarz was to be Masterclass for esports - a place where you can learn from the best to become the best. Our job was to make this happen by developing a digital product strategy and structuring the user flows, tech architecture, UX, design and, ultimately, implementation. Pro players enjoy watching other pro players teach classes. This discovery made us included this as a perk for content creators to be able to watch other classes. 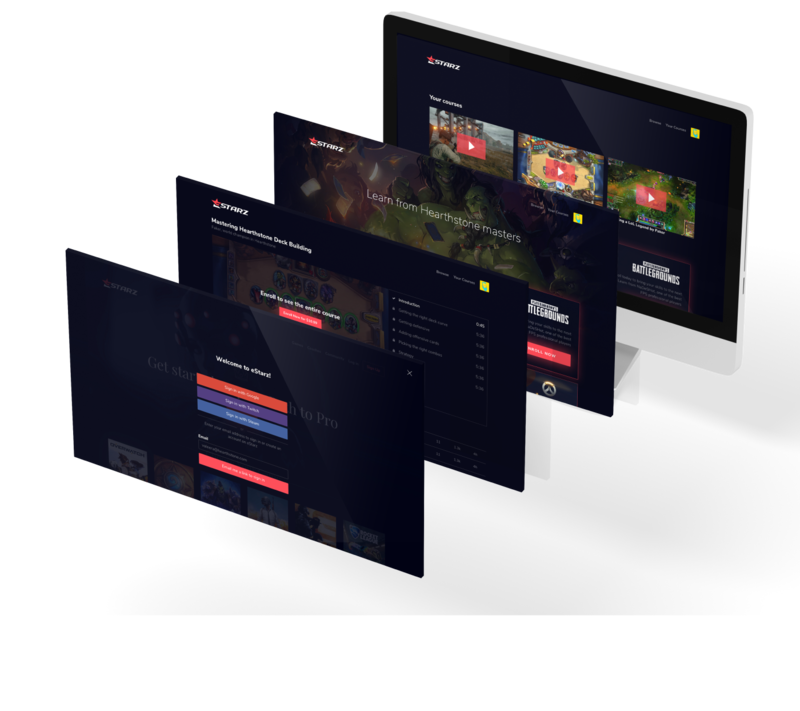 The SpiceFactory team worked with pro teams and players and the pro player wannabes to understand their needs and aspirations so we could tailor the platform for both user groups i.e. content creators and consumers. 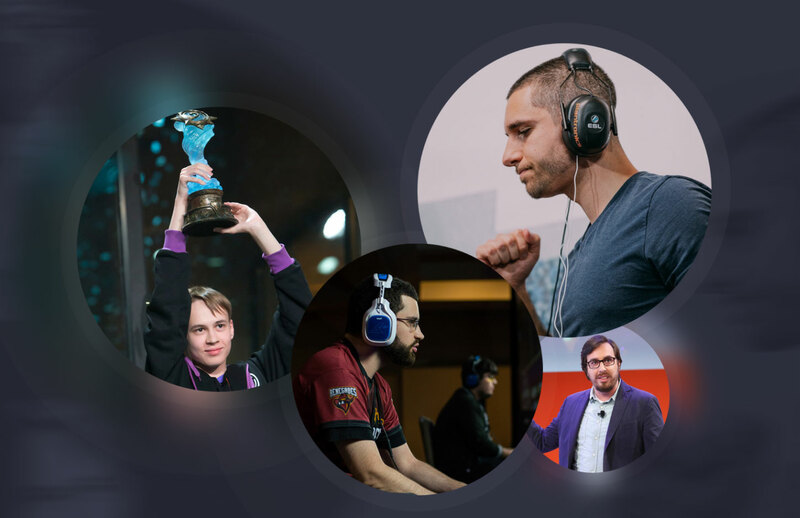 Major names in esports were involved in the project, such as Stiff, Dabuz, 2016 HearthStone world champion Pavel, Travis Gafford, TACO & MASH, and others. Users need to trust the course teacher and the course page provides a way to meet the coach. It showcases all of his achievements and the teams he is playing for. The platform motivates viewers to interact with coaches by joining interactive AMA sessions that are scheduled throughout the month. A short intro to each class is available for free to all registered users. Coaches have the ability to promote more lessons into the free tier. 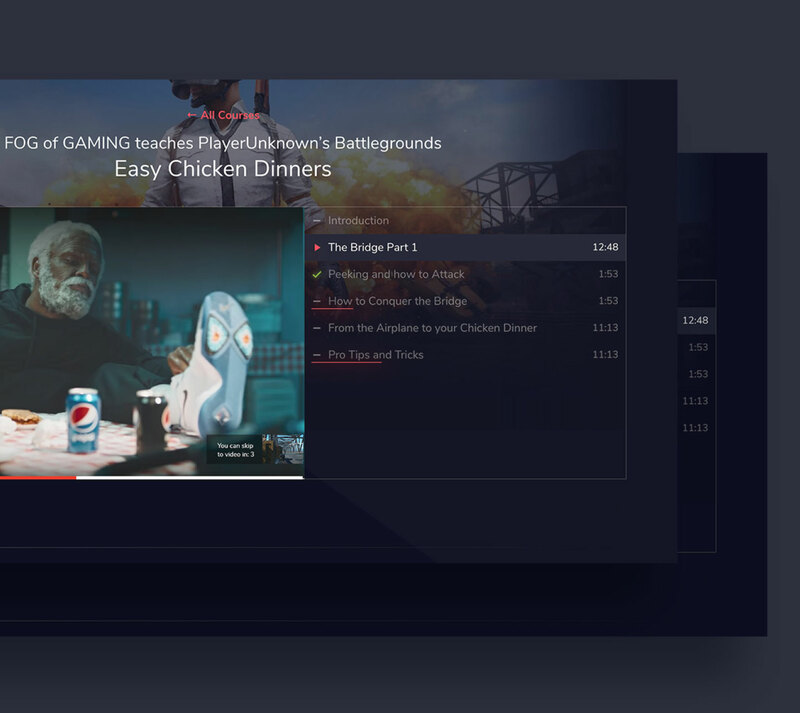 Since feedback is extremely important both for the platform and the coaches, we made sure to incorporate it into the viewer’s experience flow. In order to understant the impact of their courses, eStarz coaches needed quick access to key metrics. 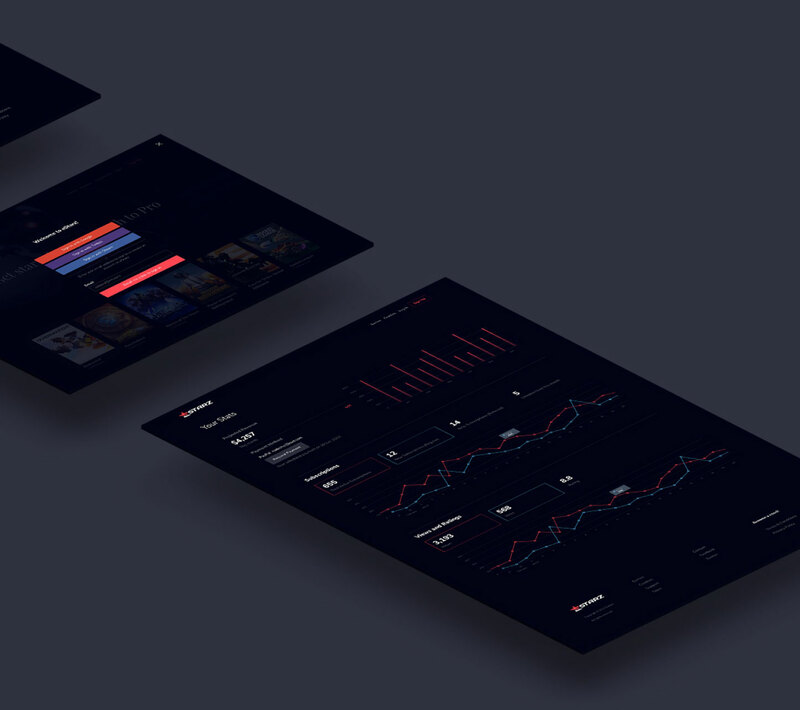 Our team designed a visual analytics dashboard to make the course data more digestible. This provided coaches with swift access to all the insights into their courses that they need to iterate and improve. Co-branded videos and advertising revenue as an additional revenue model for the business. 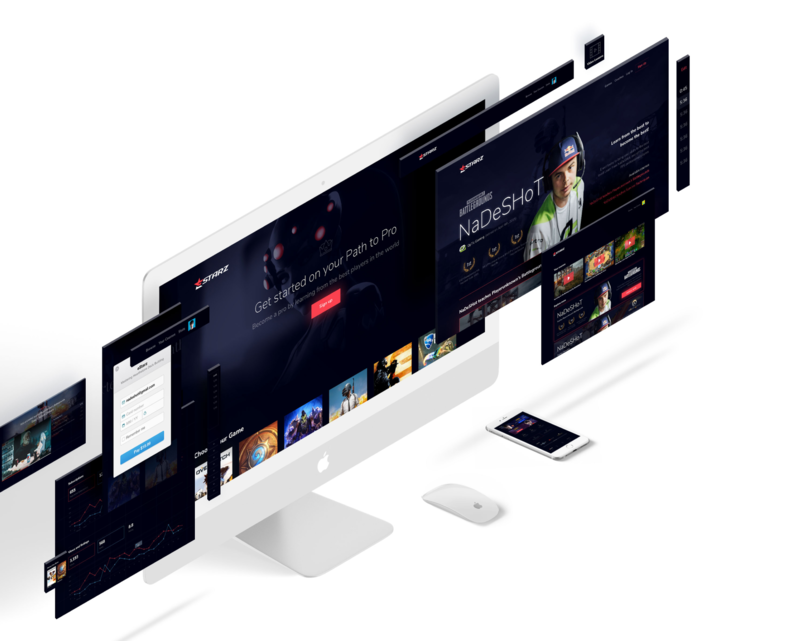 The platform allows for timely ads that would be non-intrusive to viewers but capture their interest at just the right moment. eStarz platform was developed on Node.js and React.Js using GraphQL and hosted on dockerized auto-scalable infrastructure on AWS (RDS, SQS, SNS, ECS, ECR) with Stripe as a payment backend, while relying on Auth0 for authentication. 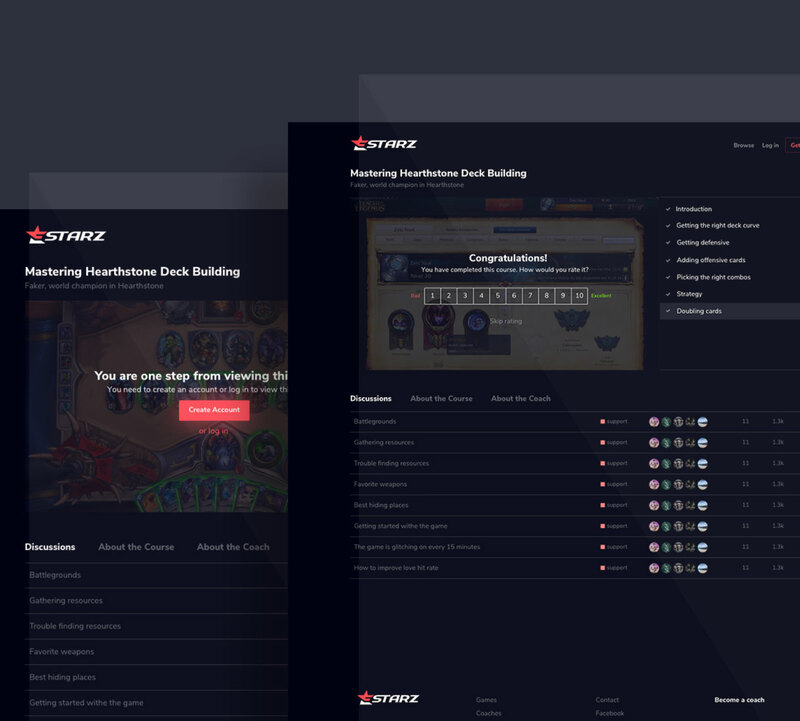 Together with eStartz we’ve built an eSports coaching platform to deliver the best gaming content from professional players and teams to thousands of online learners. 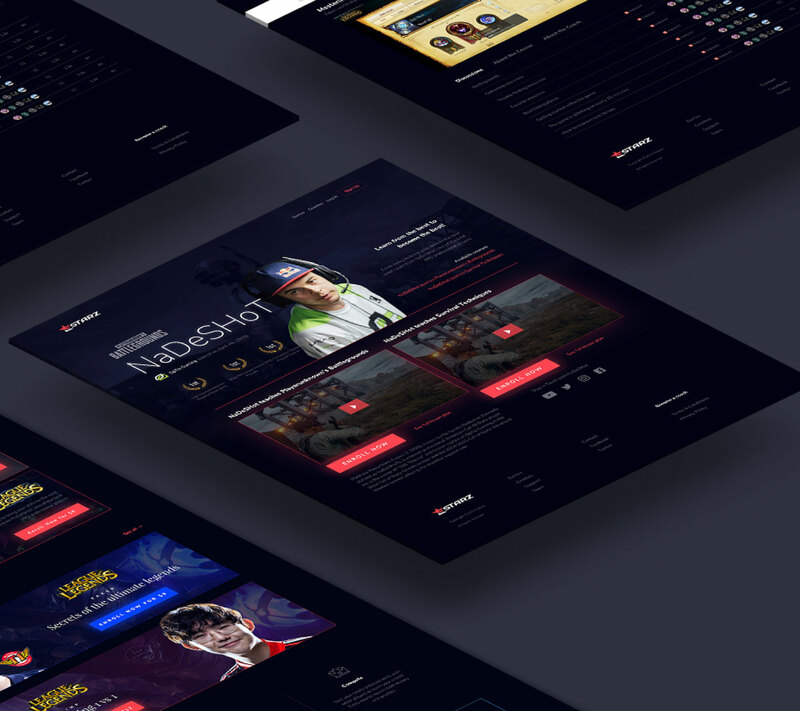 Find out how we can put esports solutions like these to work for you.